Do you love getting free lesson plans as much as I do? 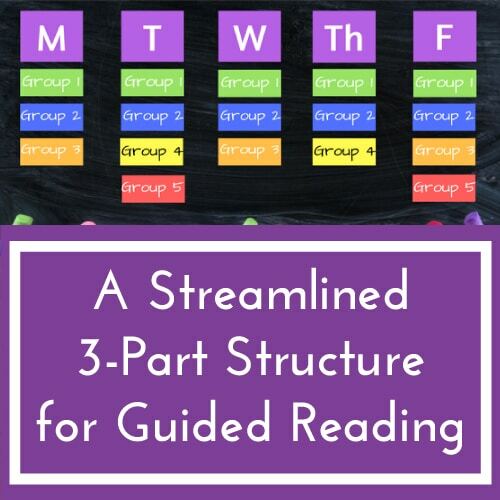 In this post, I’m going to share the second week of lesson plans from the 3-part series we’ve got going on here at Reading Simplified. 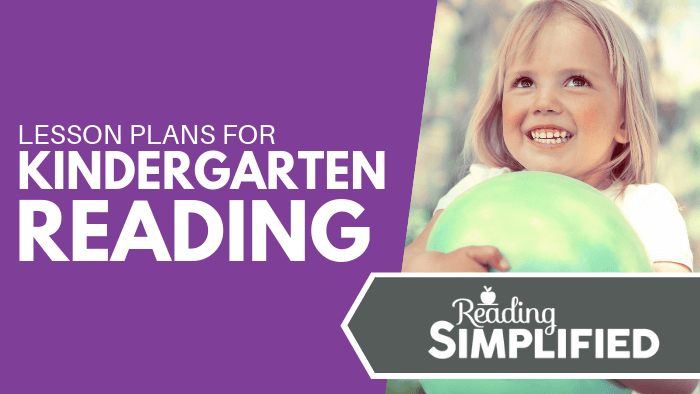 Previously, I shared lesson plans for brand new readers (which you can view here but this time, we’re taking it up a notch, and I’ll be sharing lesson plans for NEARLY new beginners. I know what you’re thinking…what’s a nearly new beginner? 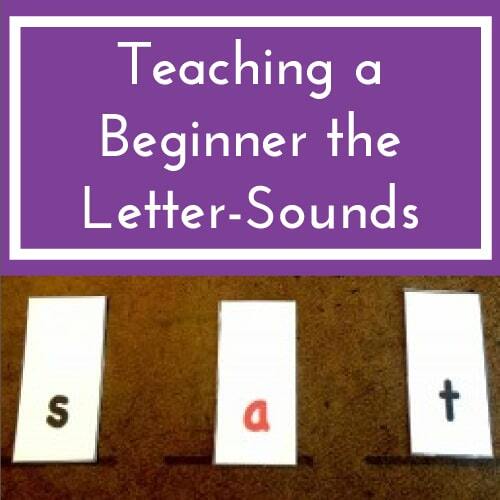 To put it simply, a nearly new beginner is someone who knows a few letter-sounds but not a whole lot. 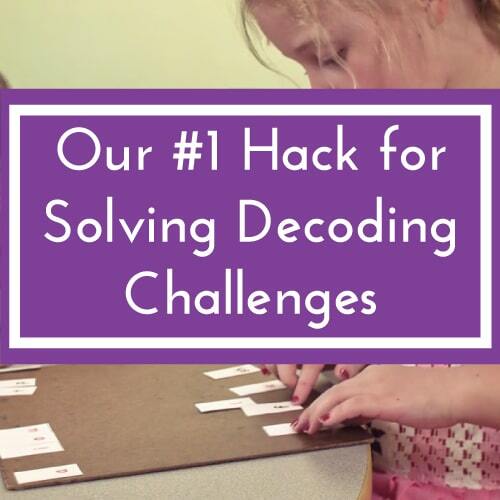 This second week of lesson plans will not only make your life easier, but it’ll also move those nearly new beginners into reading far faster than most mainstream approaches. In the first week of lesson plans for those brand-new readers, we did Build It, Read It, Read New Text and Re-Read. But for the second week of lesson plans, we’re substituting Build It for Switch It. Build It Vs. Switch It: When is it time to move onto Switch It? Both Build It and Switch It are designed to accelerate reading achievement but for different stages of the process. Build It is the perfect introductory lesson for brand-new readers who don’t know any letter-sounds. These kids are literally brand-new to reading and therefore, need a lot of pre-reading practice and experience. If a student knows around five to seven letter-sounds, it’s time to move onto Switch It. Switch It works on phonemic manipulation. For example, you might ask a student to switch CAT to COT and then COT to COD. This higher level of phonemic processing helps to develop a child’s brain in the area that’s most important for early reading. 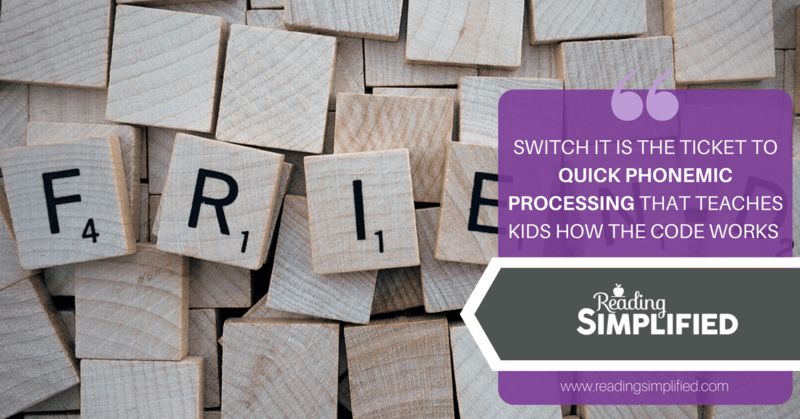 It’s this quick, automatic phonemic processing that gives kids the same ah-ha! moment that Einstein experienced when the apple fell on his head, and he discovered gravity. But in this case, those nearly new beginners catch on to how the code works and how sounds and symbols line up. Would you like to see Switch It in action? The second key step to working with nearly new readers is Read It, which uses the Blend As You Read strategy to teach kids to blend the letter-sounds of a word from left to right. If your students have been learning the sound, sound, sound, word approach, it can be challenging to get them used to a new strategy. But it’s worth it because it will get them on the road towards becoming good readers much faster than mainstream methods. With Blend As You Read, you want them to blend the sounds as they go. For example, if you were teaching them to read the word MAP, you’d cover the “P” with a card and encourage the student to blend the first two sounds. If they struggle, you can model it for them and let them copy you. Then, reveal the last letter, and hopefully, the student will be able to put the word together by connecting sounds left to right. 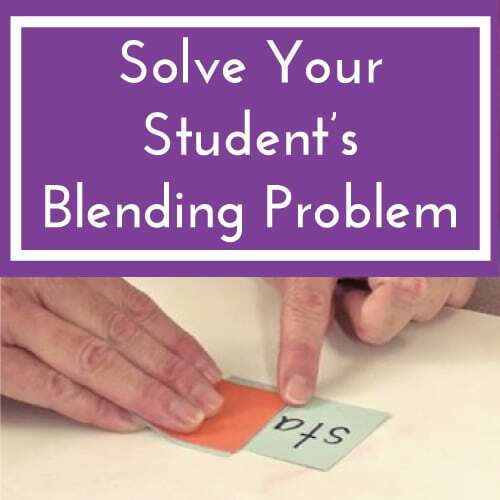 If you’d like to see a more in-depth overview of Blend As You Read, click here, or watch the example video of guided reading using the Blend As You Read strategy. The lesson plan for nearly new beginners gives you a weekly overview of activities and word lists to focus on. But don’t worry, you don’t have to do each word on the word lists. It’s more important to focus on the major activities such as Switch It and Read It. You’ll notice that as the week progresses, you’ll have to switch out vowels as much as possible because that’s usually the toughest part for youngsters to tackle. In the beginning, you’ll start with continuant consonants, which makes it easier for beginning (or struggling) readers to separate sounds. At the end of each day on the lesson plan, I provide a recommended text sourced from starfall.com. It’s important to re-read as much as possible and try some Buddy Reading to help kids move along. TOP TIP: One thing to remember when choosing what text to read for the day is to pick something that targets the same sound you’ve been targeting in Word Work activities. This will help to reinforce those letter-sounds! 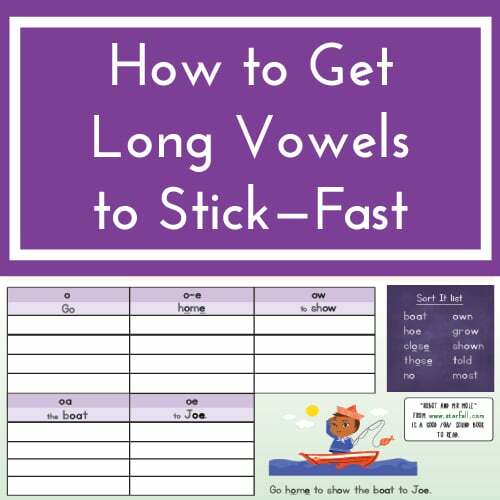 Below I’m going to share a summary of what you can expect from the 3-Step Lesson Plan For Nearly New Beginners, including a few sample words from the word lists as well as what short vowels you’ll be focusing on and my recommended reading texts. If you’d like to get your hands on this week of FREE lesson plans, all you have to do is comment on this Facebook post, and the lesson plan will be sent straight to you via Messenger! We have a kindergartner in our house, and I value the opportunity to learn from you and try your strategies. I’ll let you know how I do! 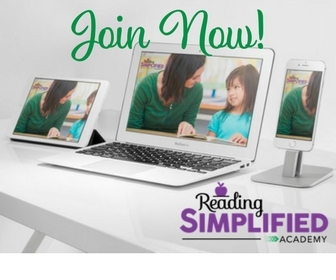 The first week lesson plans are so helpful and I am loving being a member of the Reading Simplified Academy. Thanks for these next week of plans to help get me going! So happy you are having successes! Love the enthusiasm!